“A common soldier, a child, a girl at the door of an inn, have changed the face of fortune, and almost of Nature.” These words of Edmund Burke, which Russell Kirk often invoked, bring home to us, in a set of striking images and historical allusions (the girl is Joan of Arc, the child a young Hannibal) the importance of the individual in history. Personal acts change the future, and in the West, the individual life and that of the wider community are inextricably intertwined. The importance of biography was not lost on Kirk. He wrote a number of biographies as standalone books—of Eliot, Randolph, Taft, and Burke—and The Conservative Mind is essentially a series of individual intellectual biographies. He generally thought it best to express permanent truths through individual example. Moreover, tradition can only be passed down by and through individuals; fully to enter into a tradition is a series of choices that can only be made by individual choice. It is no surprise, then, as Nigel Hamilton notes in his engaging short study of the art and history of biography (reviewed later in this issue), that the life-study has been a prominent—perhaps the preeminent—literary genre since the beginning of recorded history. Originally told in oral narratives, then in manuscript and print, now offering the life stories of the rich and powerful, the poor and obscure, and all in between, biography fills the electronic and visual media as well. In this issue, we review numerous recent biographies and some classics. In an introductory essay, Carl Rollyson, one of the best-known scholars of biography, and himself a biographer of note, explains how modern biography has changed yet at the same time fulfills Samuel Johnson’s assertion that biography should cover the full life of a subject, personal as well as public. Our subjects range from Orestes Brownson to Whittaker Chambers, from Dante to Ralph Adam Cram. 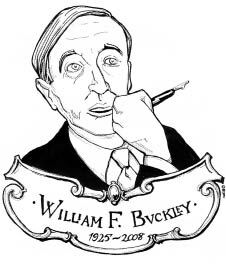 Finally, we could not let an issue go to press, let alone one devoted to great lives, without noting and mourning the passing of William F. Buckley, Jr. Buckley, along with Kirk and a few other brave men and women, created the American conservative movement in the 1950s. Through books such as God and Man at Yale, his television series Firing Line, and of course his founding of National Review, he contributed profoundly to American political and intellectual life, fomenting a conservative reaction against the regnant liberalism of the 1950s and 1960s that continues to bear fruit. We at The Bookman remember him especially for the support he gave to this journal over the years and the long connection we have enjoyed with National Review. Requiescat in pace.